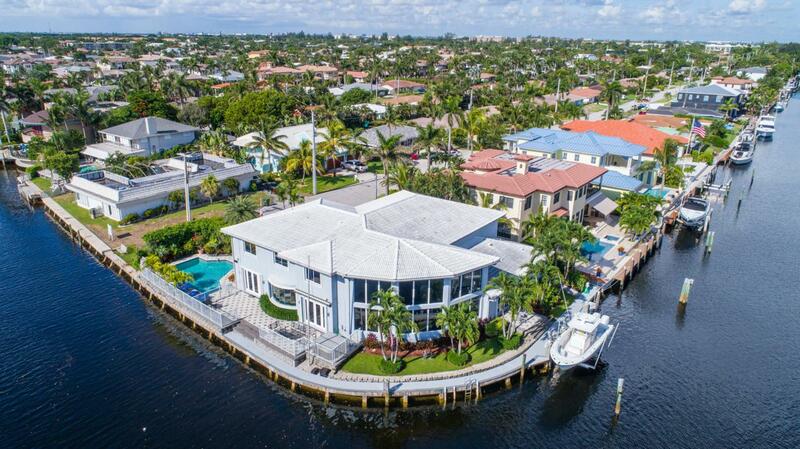 Endless water views! 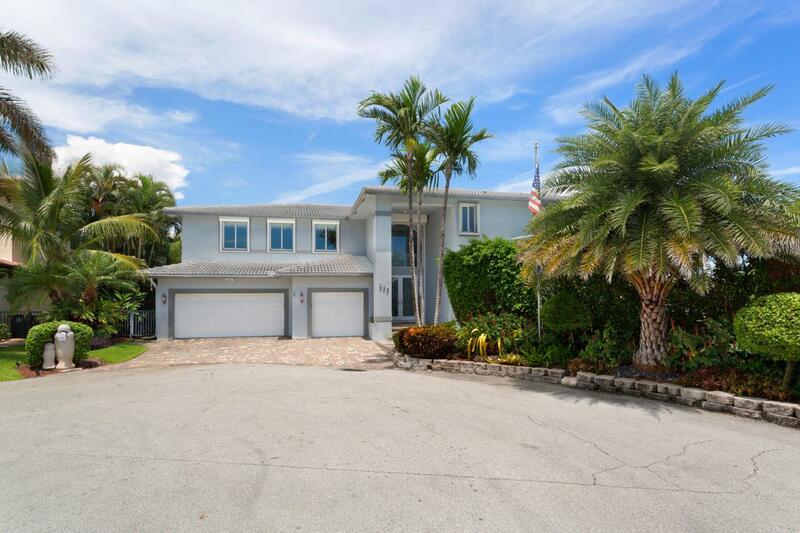 One of Boca Raton's premier point lots! Move in or renovate this stunning family home with over 200' of waterfront. Over 6,600 sq. ft. of living area with 5 bedrooms and 6 1/2 baths. Two story double window wall in the living room, Formal dining room with French doors overlooking waterfront terrace, large eat in kitchen with adjoining family room all overlooking the pool and waterway. First floor waterfront master suite. Additional first floor bedroom with private bath. There are 3 waterfront bedrooms upstairs, each with private baths, as well as a very large family room/entertainment area.The written and verbal information provided including but not limited to prices, measurements, square footages, lot sizes, calculations and statistics have been obtained and conveyed from third parties such as the applicable Multiple Listing Service, public records as well as other sources. All information including that produced by the Sellers or Listing Company are subject to errors, omissions or changes without notice and should be independently verified by any prospect for the purchase of a Property. The Sellers and Listing Company expressly disclaim any warranty or representation regarding all information. Prospective purchasers' use of this or any written and verbal information is acknowledgement of this disclaimer and that Prospects shall perform their own due diligence. Prospective purchasers shall not rely on any written or verbal information provided when entering a contract for sale and purchase. Some affiliations may not be applicable to certain geographic areas. If your property is currently listed, please do not consider this a solicitation. In the event a Buyer defaults, no commission will be paid to either Broker on the Deposits retained by the Seller. "No Commissions Paid until Title Passes." Copyright 2018 Listing Company. All Rights Reserved. Listing provided courtesy of Premier Estate Properties Inc.